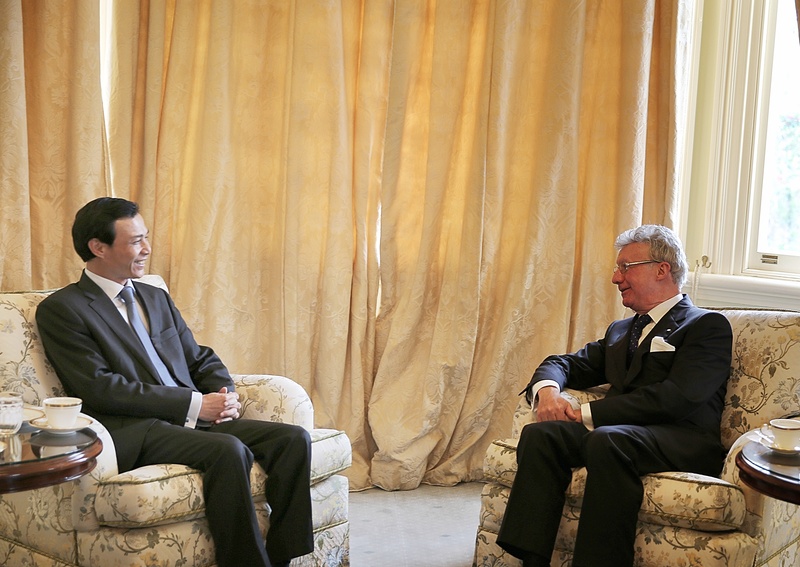 From 21-22/7/2014 - On the official visit to Victoria, Ambassador of Viet Nam paid courtesy calls on H.E. Alex Chernov AC QC, Governor of Victoria and the Hon Louise Asher MP, Minister for Innovation, Minister for Tourism and Major Events, Minister for Employment and Trade representing the Premier of Victoria. From 6-7/05/2014 - On the official visit to New South Wales, Ambassador of Viet Nam paid a courtesy call on Her Excellency Professor, the Hon. 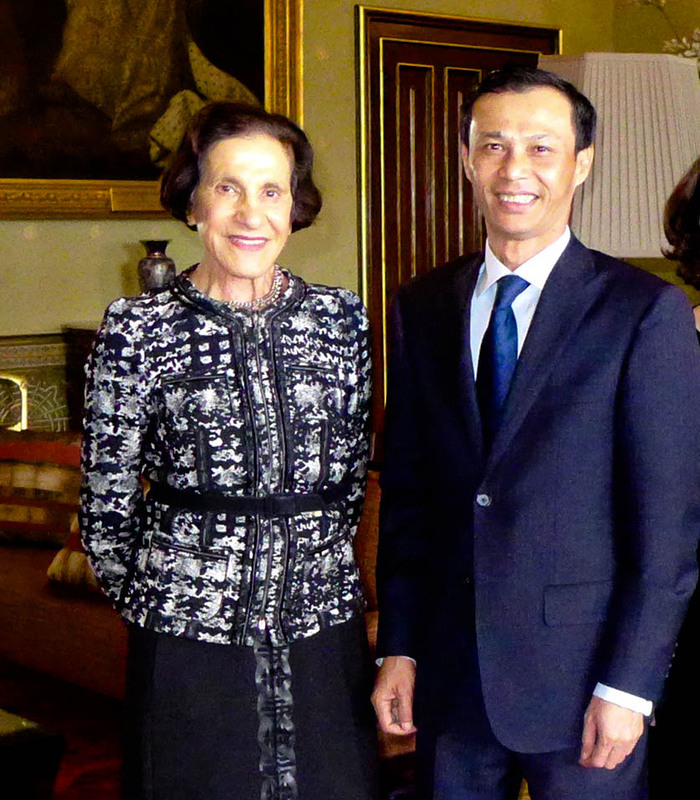 Marie Bashir AC CVO, Governor of New South Wales; had meetings with the Hon. Victor Dominello MP, Minister for Citizenship and Communities-representing the Premier; the Hon. Don Harwin MLC, President of the Legislative Council; the Hon. Shelly Hancock MP, Speaker of Legislative Assembly; and other important officials of NSW. 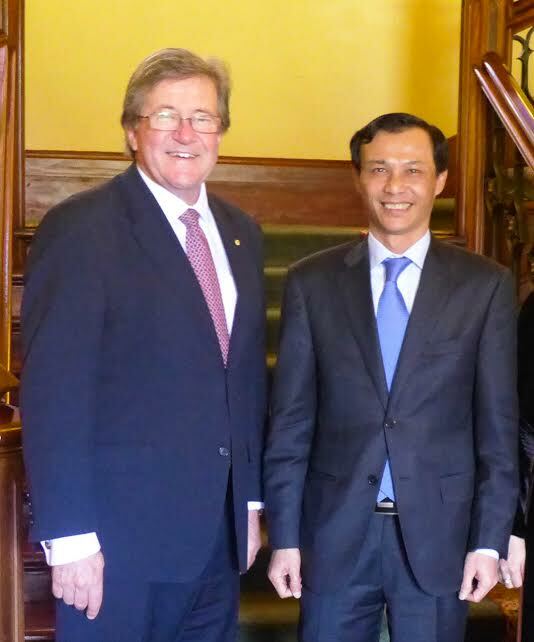 From 1-3/05/2014- Ambassador of Viet Nam visited Western Australia together with around 80 Ambassadors and High Commissioners at the invitation of Australian Foreign Minister Julie Bishop. On 27 February 2014, H.E. 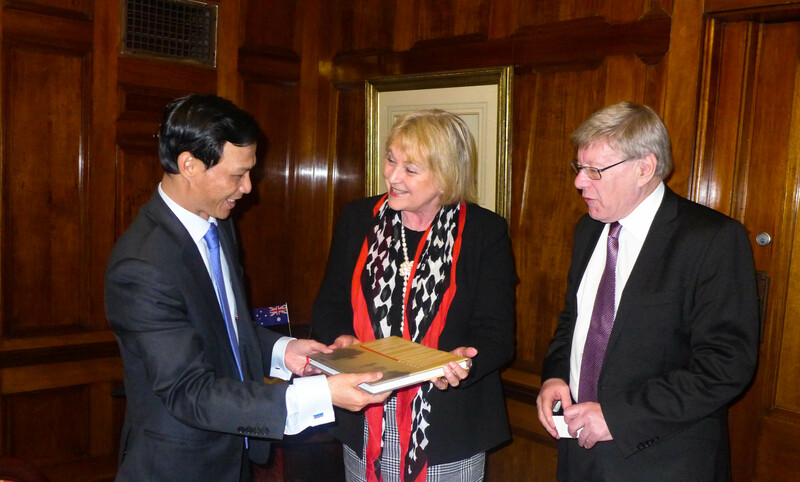 Mr Luong Thanh Nghi presented to Her Excellency Ms Quentin Bryce, AC, Governor-General of the Commonwealth of Australia, the Letters of Credence from H.E. 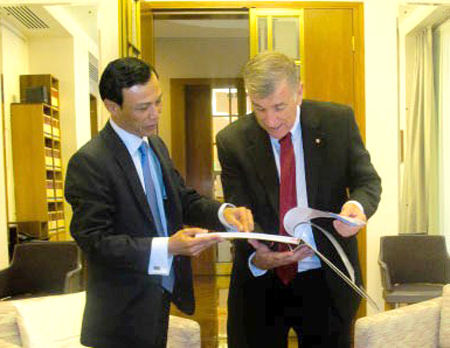 Mr Truong Tan Sang, President of the Socialist Republic of Viet Nam. 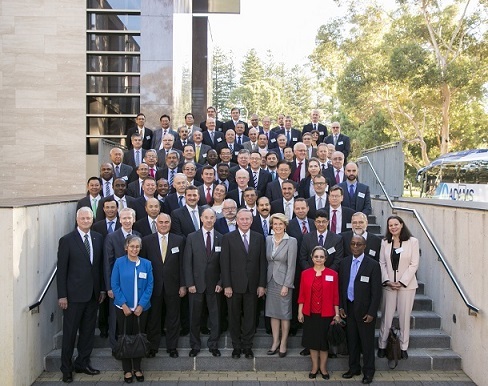 The ceremony was held at the Government House, Canberra, the official residence of the Governor-General of Australia. Accompanying H.E. 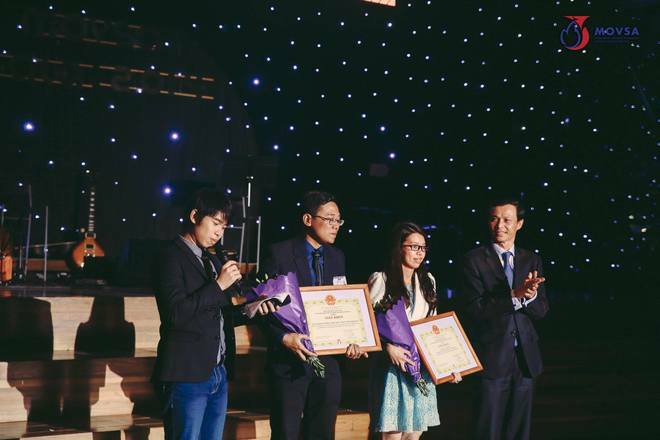 Mr Luong Thanh Nghi was his wife, Mrs Nguyen Thi Thu Hong and officials from the Embassy of Viet Nam.